I'm local, do I have to pay shipping? During the campaign, several items had shipping included. For additional items, you can make it easier on us and just let us ship you your merch, but if you insist on local pickup, use this shipping code for the add-ons to save a few bills. Use code NOSHIPPING for $2.95 if your shipping total is $2.95, and BIGNOSHIPPING for $4.95 off if your shipping total gets to $4.95. No cheating... don't use these codes if you're expecting us to ship. Can I still order a t-shirt? We're placing the final t-shirt order with the manufacturer on April 10th, so please pre-order one before then! We'll have a limited supply after that. 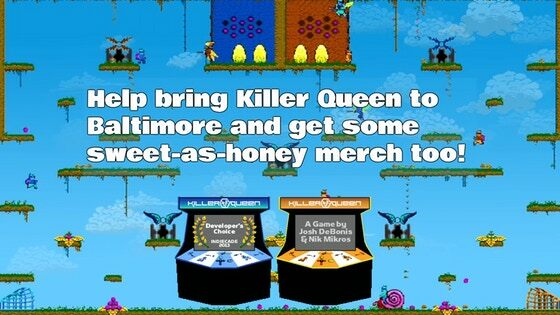 Where can we play KQ in Baltimore? Most things will go out in April. I'm local, do I have to pay shipping? Can I still order a t-shirt? Where can we play KQ in Baltimore? I want to know when my reward is shipping. I am having trouble filling out my survey. I would like to make a change to my pledge. I would like help with preorders. I have a issue with my pledge finances. I have a question for the project creator. I have a question not listed here. I want a refund for my initial campaign pledge. I have a question about BackerKit.